Kelly Mitchell, started out behind the scenes as a former wine consultant, helping curate wine collections for companies and independent wine collectors. The half-sisters grew up on two different continents and never knew about each other. Their father’s dying wish was that the two girls meet. Robin, who grew up in California, learned she had an younger sister named Andrea who grew up in New Zealand. As their relationship developed and the sisters spent more time together in New Zealand and California they began to fall in love with wine together. Robin, who has a marketing background, partnered with Andrea while she was still attending the University of Southern California to create their brand of wine. 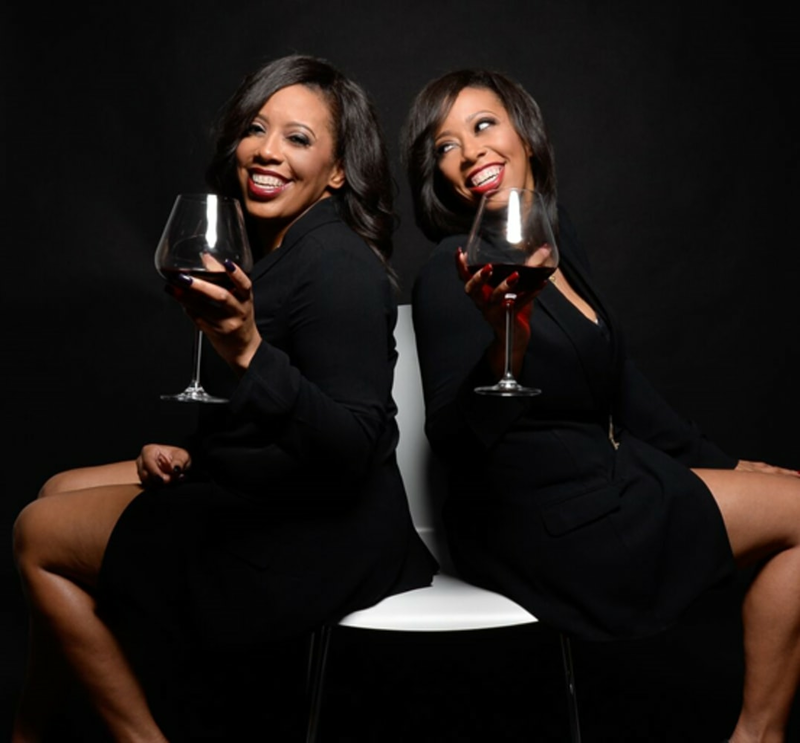 The sisters are the first to create a black owned wine company that imports and distributes their own brand of wine. The McBride Sister’s portfolio includesEcoLove wine from New Zealand and Truvée wine from California. NBCBLK: Wine is viewed in America as a part of high society, how do you combat that stereotype? Robin: We don’t look like typical winemakers, we were very careful to make sure our branding, messaging, and communication were in line with the people we wanted to attract. We are two women who are normal and accessible. We don’t try to go over people’s heads; we are real people and recognize people are always learning. Robin: Wine was something we experienced together. Wine brings people together just like it did for us. In most circumstances you are celebrating with someone, a nice meal or just relaxing. Since it was always a pleasurable memorable experience to us we want to share that feeling with as many people as we can. We hope our wine does the same for people. Finish this sentence; wine is..? Robin: Wine is life. Wine encompasses so much. It involves a process, time, several people, agriculture, family, and weather. It takes hard work get a bottle for you. Wine isn’t like a quick spirit that is created in a lab. What started out as a blog and radio show developed into a brand of winesby Chrishon Lampley. Lampley wasn’t a stranger to the wine and spirit business. Before launching her varietal, a wine largely made from a single type of grape, she had over 20 years in marketing and even co-owned an art and wine studio in Chicago. Lampley’s wine is sold in several stores in Illinois and has expanded to locations in Texas. NBCBLK: When did you fall in love with wine? Chrishon: I fell in love right after college. I was always a foodie and loved trying different things. When everyone was into apple martinis and cosmos, I was going to wine tastings with my best friend. We would go to all the great restaurants in the city and learning about how to pair food with wine helped me to develop a deeper love for it. What has it been like breaking into the wine business? It hasn’t been easy; people still think I’m the promotional girl not the owner. Only 1 percent of the wine industry around the world is made up of African American women. But knowing that makes me work harder. My experience in distribution sales gives me the knowledge on what clients are looking for and gives me relationships with vineyards. I wanted my wine to be fun but still have great quality. What will it take to see more minorities and women in the wine industry? I think we should take hold of all ends. There are several areas like roles in distribution, restaurants, and law where we can work together. We all have different skills for us to come together and be an A-team. What is a piece of advice that keeps you going as a winemaker? You can’t control the uncontrollable, it puts your energy in a negative place and you end up not following what you are meant to do. Focus on what you can control, and things will happen for you. Leaving corporate America in 2015, twin sisters Nichelle and Nicole decided to start waking up to something they loved. After a vision board party, the sisters decided to use their natural talents of entertaining and hospitality to follow their heart and begin a career in wine. According to Nichelle and Nicole, the current wine industry fails to recognize a diverse, multicultural audience. So they decided to seize the opportunity and create a brand that caters to a millennial audience. NBCBLK: What sparked the Guilty Grape? Nicole: One of our friends who owns a bar invited us to a McBride Sisters event; we witnessed how they worked the room and admired their wine knowledge. 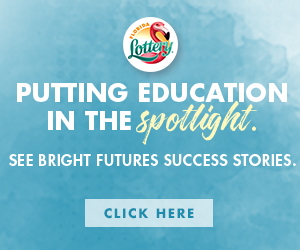 We got the chance to talk to them and as a result they became our mentors. The McBride Sisters have been critical, honest, and at the same time encouraging and supportive which is what we really appreciate it. What is the vision of Guilty Grape? Nicole: We want to represent the consumer that has often been overlooked by the traditional wine culture. 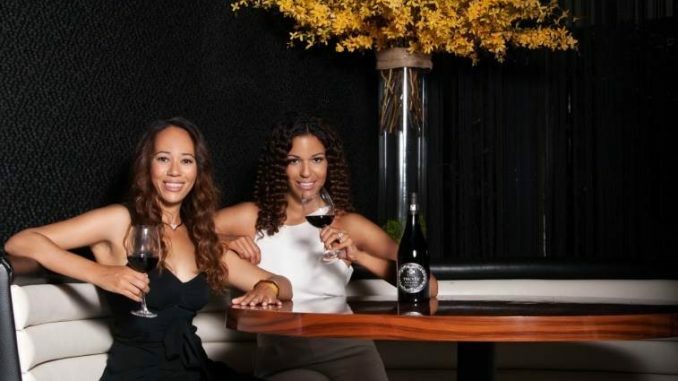 With our business partners Rocio Palomo, Chanutell Bobo, and Stella Ashaolu we have created a lifestyle company that features crafted varietals for what we call the ‘New American Wine Drinker’. Nichelle: We are premiering our box subscription that delivers all the ingredients to make wine cocktails. The box will feature minority winemakers, and wine cocktail recipes from minority bartenders. Our own wine label will launch in 2017, so the boxes will soon feature our own product. What has been the scariest moment since starting your wine business? Nichelle: We gave everything financially. All our expensive for the company come out of our pocket. But if we believe in ourselves, we have to be willing to invest our own savings. Nicole: The realization of no safety net. At work you know when a paycheck is coming, you know there is insurance, and the bills are covered. It was a tough decision to keep your safety net and not be happy? Then you would always wonder what if my idea had worked. On top of that, nothing is cheap in the wine industry! 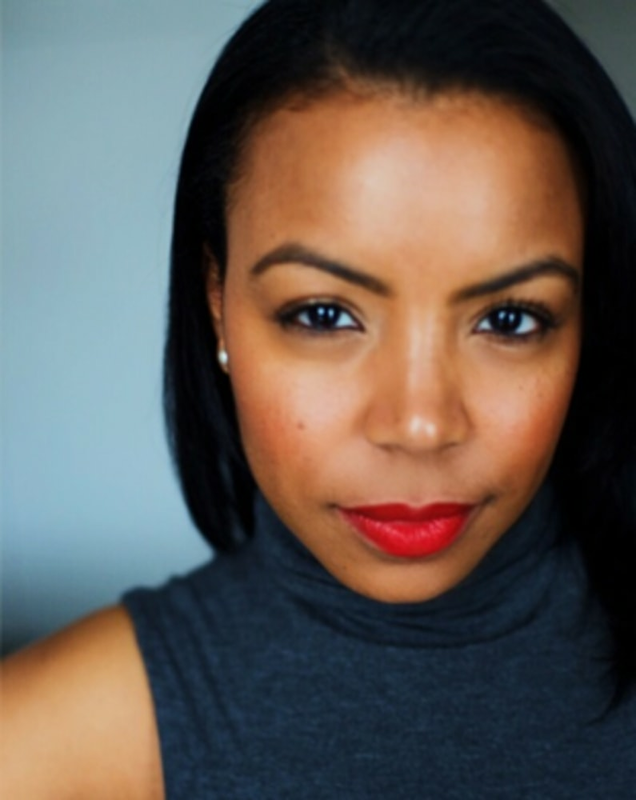 Before pursuing a career in wine, Spelman College alumna Kelly Mitchell was climbing the ranks on Wall Street. When Kelly transitioned into marketing roles, coordinating client dinners exposed her to research and planning behind wine lists. After realizing her natural ability and interest in wine hospitality, mentors JJ Greenfield and Selena Cuffe gave her the push to take on wine full-time. As a sale representative for VOS Selections, a boutique importer and distributor of artisan wine, Kelly was also an independent wine consultant and educator. 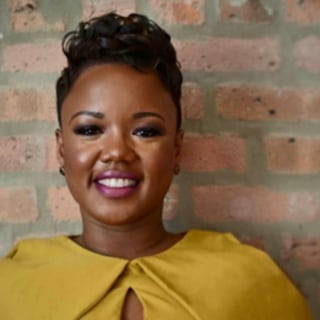 She has curated wine collections for high profiled clients all over the Tristate and crafted wine programs for Fortune 500 companies such as Facebook. NBCBLK: When did you realize you made the right decision to leave Wall Street? Kelly: Everyday I still check my decision, but I always reassured with the natural flow of my wine career versus the Wall Street grind. I feel like I’m not working against some force. I put in my hard work and it feels like a natural positive energy. How do you overcome challenges of being a minority in the wine industry? I have always worked in environments where I’m the only ‘one’ or one of a few minorities in the room. I always focus on two things. My passion and drive. I love wine so much and it shines through in my work. People are able to pick up on my energy. Knowledge is a huge priority. Knowledge is social currency in the wine world; you have to be able to talk about wine from all over the world. There are certification programs, but they aren’t required like a medical degree. I use tasting groups to continue learning and to strengthen my palate. I am always reading various articles to stay on top of the latest trends and news in the wine industry. What advice would you recommend for someone considering a career in wine? Obtain some form of education—the Wine and Spirits Education Trust (WSET) or the Court of Master Sommeliers, because it gives you a great foundation. I finished the Advanced Certificate program with the WSET and will continue to its highest levels. I also suggest to not be afraid to step out of the traditional path. It is an untraditional career. Don’t be afraid to be in the business, stand in your truth and be open to learn at the same time. If you had to compare your wine career to a type of wine what would it be? Champagne, there are so many different aspects of it. It is a well-made wine and yet still has bubbles. I feel like I have a great foundation of knowledge but I still like to keep my experience exciting and fun. Does Eating Fruit Prevent or Worsen Diabetes?